Up until a few weeks ago, one of the senior members of our dojo, Duncan was working as security guard at various Sunshine Coast night spots. In his time working security he witnessed escalating violence, the effects drug use and various other social problems. If you’re not out amongst this kind of thing, you could easily think that the Sunshine Coast is an amazing paradise with all the good things that life has to offer. Of course that’s all true, but the Sunshine Coast also has a scary underbelly that many people would probably prefer to ignore. 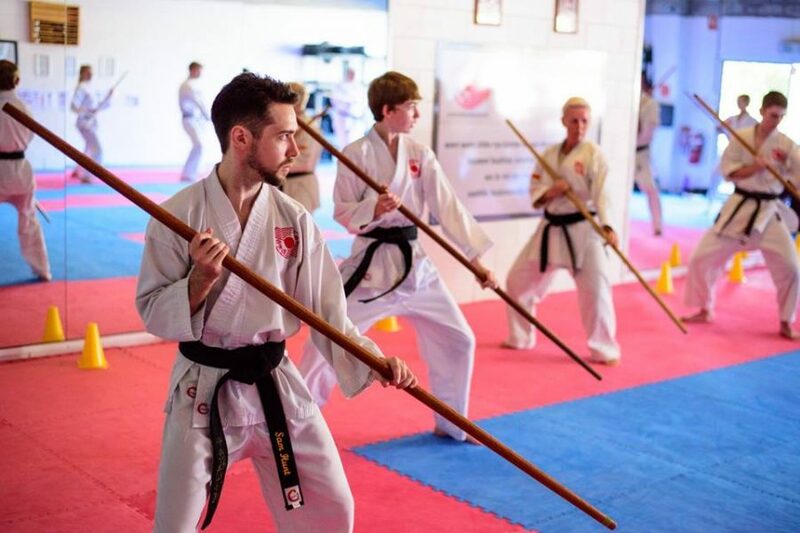 Rather than ignore the problems, Duncan has decided to share his experiences in the hope of educating others about the dangers and encourage more people to look towards a serious study of martial arts as a way to tackle some of the problems. Here’s what Duncan has to say. As many of you would know I am presently working as a security guard to put myself through University for a second time around. This includes working in local hotels until the early hours of the morning. I have just experienced another weekend of violence, which is happening all over the Sunshine Coast during the early hours of the morning. Whilst working at a local hotel the security guard I work with was punched and head butted by an alcohol fuelled patron, because that individual was not allowed back into the hotel after being removed for an unprovoked attack on another patron. His five friends then decided that they would attack the two security guards. Chaos ensued; great restraint was required not to strike these low lives. Police were called but arrived half an hour later. (Were the patrons still at the hotel and, if so, what happened??) It’s bloody dangerous. I have age, experience and karate behind me and I felt threatened. It is difficult to defend yourself when you are not allowed to strike a patron, grab them around the neck or take them to the ground. Worse, is the fact that all these violent lowlifes know you can’t respond physically and feel secure in attacking security guards. Respect for security guards has diminished to an all-time low. The constant threats of abuse, with limited opportunity to protect yourself, older experienced guards are being forced to retire. The younger, less experienced guards, after constant hours of abuse, end up retaliating and then lose their job and/or licence immediately. Communication is the key to crowd control but there is no stability. The security staff turn-over is so high that it is very difficult to work with the same people often and you don’t know the people you are working with from night to night. As much as security guards try to control the venues, they can’t control what happens outside in the car parks, at the taxi ranks and on the street. The the media and the public conveniently blame the security guards for violence but don’t see what is happening during the early hours of the morning. Woolworths own most of the licenced venues on the Sunshine Coast. Their recent response to this situation is to reduce the number of hours worked by security. It is crisis management only; many security shifts start at 11:00pm and finishing at 4:00pm, there is no time to be proactive, only time to respond to an already deteriorating situation. It is hard work for $100 a night. 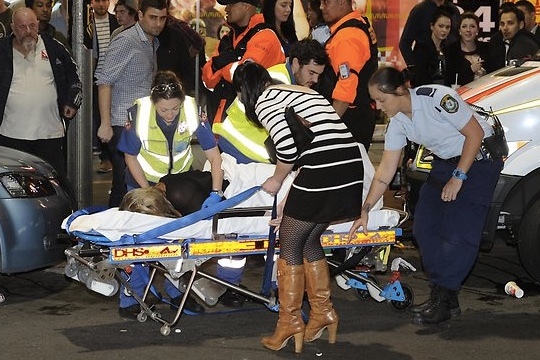 Many of the patrons fuel up on alcohol and drugs before going out late – it is expensive to drink at hotels. The escalating violence is known to police, social workers and staff at any hospital emergency waiting room in the country. The issues are known by many but nothing is being done and the reason and answers are simple. Some immediate answers are to close venues earlier and increase security hours, with more systemic cultural issues needing to be addressed later on a larger scale. This won’t happen because it is all about the money. Smaller venues, owned by Woolworths, are turning over in excess of $100,000 a day through the Pokie machines, with an average week being over $1,000,000. The clubs and RSLs … are turning over in excess of $3,000,000 a week. Their priority is to bleed as much money as possible from gambling, often from the people in the community who can ill afford it the most. Every extra hour the hotels are open is worth millions of dollars across a region. Woolworth’s will fight tooth and nail to keep venues open as long as possible. The community is paying for corporate greed. The Governments will not act, they are receiving their share of profits-basically it’s a tax received from ill-gotten gains. In response, Governments have the audacity to cut back on policing, health and social services. Basically they are keeping the billions in tax revenue from gambling to support their consolidated budgets and are putting little money back into the problems they have created through their moral cowardice. Violence has always been a part of society, historically, as it is now. What has changed is there are no implicit rules any longer. The fights of previous generations had rules, ‘the Queensberry’ rules being an example. Although violent, it was a competition and usually on a one-on-one basis. I witnessed this often as I was entering adulthood. Keeping your mouth shut was generally a guarantee of a safe night out. Now, the violence is random; often the provocation is petty, mistaken or absent. The fights I see on the streets today, driven by alcohol/drugs are usually driven by insecurity and a desire for respect. The blind king hits, four against one, kicking people on the ground… The ‘instant gratification’ generation don’t have the time and commitment to learn a real Martial Art worthy of respect. Easier to hit some-one in the back of the head; get high fives, take photos, put it on Facebook/youtube, title it ‘toughest man around’, and spend more time spinning the story than learning a Martial Art. The threatening atmosphere forces young people into formal and informal gangs for protection. This means that if two people from opposite groups don’t like each other, there are often ten people involved and not just the two people that have the personal issue. Then you have the completely unrelated scavenging opportunists that further incite the violence to build their fragile egos, or plainly out of boredom; the desire to have a story they can spin to their drunken/drugged, boring, artless counterparts. Honesty does not necessitate these baseless relationships, with only their shared addictions in common. Girls also become a part of these groups and are happy to hurl abuse from their perceived protected environment. This escalates to the point where they are fighting as well. The language, mannerisms, body language, and attitudes are adopted from black American gang culture, learned through television and other modern media. They equate their ability to fight with anger and there are so many angry young people feeling insecure and threatened at present, violence results. From my own experience, it is hard to reason or intellectualise with a drug/alcohol fuelled bully at a taxi rank at 2:00am in the morning if their primal compulsion is to inflict violence against others. All the communication, conflict resolution and counselling skills are useless if the violent aggressor does not read the same books and understand the language. Understanding the individual does not matter in that immediate situation. It does not matter if they have had an unfortunate childhood and their motivation comes from a damaged and insecure place that creates the need to hurt others to feel a sense of power. None of this matters if a young promising University student, with an exceptional brain, who has something to offer society is rendered unconscious and damaged for being at the wrong place at the wrong time. You can’t change the world, there will always be violence. Over protection and avoidance does not change that. You may be able to reduce the odds but the threat remains, probability may be low but the consequences are still high. There is also the affront to your personal freedom, you should be able to go when and where you like without consideration of the risk of violence. Personally I feel it is better to reduce the vulnerability than to hide or ignore the threat. Karate provides that basis in my life. The ability to walk away when threatened with unprovoked violence is becoming a necessary skill these days. It is incredibly difficult to do in these present times, especially for young males venturing out into the adult world. Even with my confidence and experience I feel threatened at times and tempted to resort to violence in retaliation. Without my Karate background it would be very easy to fall into the mire with the rest of these violent lowlifes. The essence of Karate is self-defence, to protect yourself from violence; I’m starting to believe it is not just something you hold in reserve but is a necessary skill to survive in these unpredictable, violent times. I think about these good young kids going out into this world and it frankly scares me, they need to learn the skills and develop the confidence to deal with these situations. 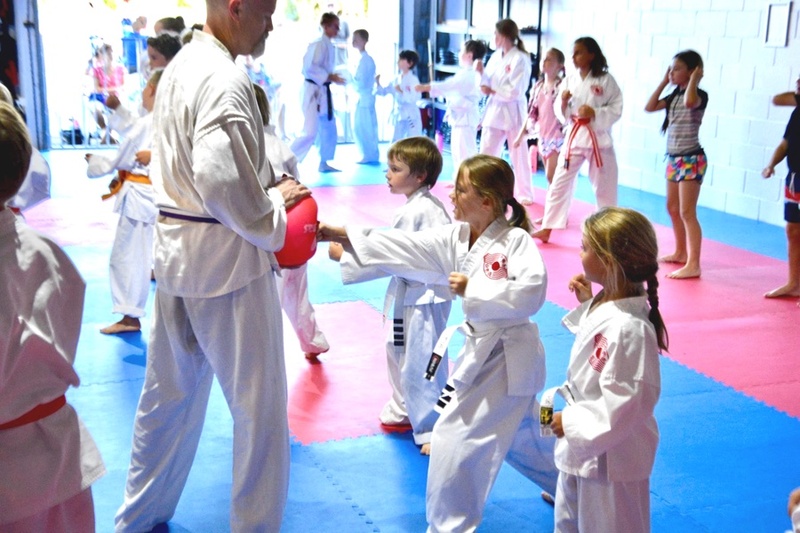 Providing kids with the confidence so that they can walk away and keep their heads high is one of the greatest lessons that good Martial Arts teach , even if it is only to protect their fragile egos for those rare moments. Post script. I have resigned from working at that hotel; sometimes ‘walking away’ has more than just a literal meaning.